Engaging a burger craving mobile audience. Wendy’s Hamburgers NZ, opened its first restaurant in Te Atatu in 1988. The West Auckland-based Wendy’s operates a chain of over 20 stores around the country. Wendy’s, which was founded in the US in 1969, overtook Burger King in 2012 as the second-largest burger chain by overall sales after McDonald’s. The all new Wendy’s mobile app lets you unlock exclusive app-only offers. Buy-one-get-ones, discounts and other meal deals. Plus, you can order from your phone and never wait in line again with delivery right to your table. Looking to breathe new life into the way customers use their application, Wendy’s intent was to streamline the purchase process by providing customers with the option to order via the Wendy’s app. Therefore, shifting the focus away from in-store over the counter sales and encouraging a remote mobile ordering solution. Wendy’s has a long standing partnership with the Vodafone Warriors. A mobile application is a great marketing platform for all promotions as well as getting behind the team to take out the NRL Championship! To begin we had to make sure that we understood how the end user would navigate within the app and how their interaction would communicate with Wendy’s existing systems. 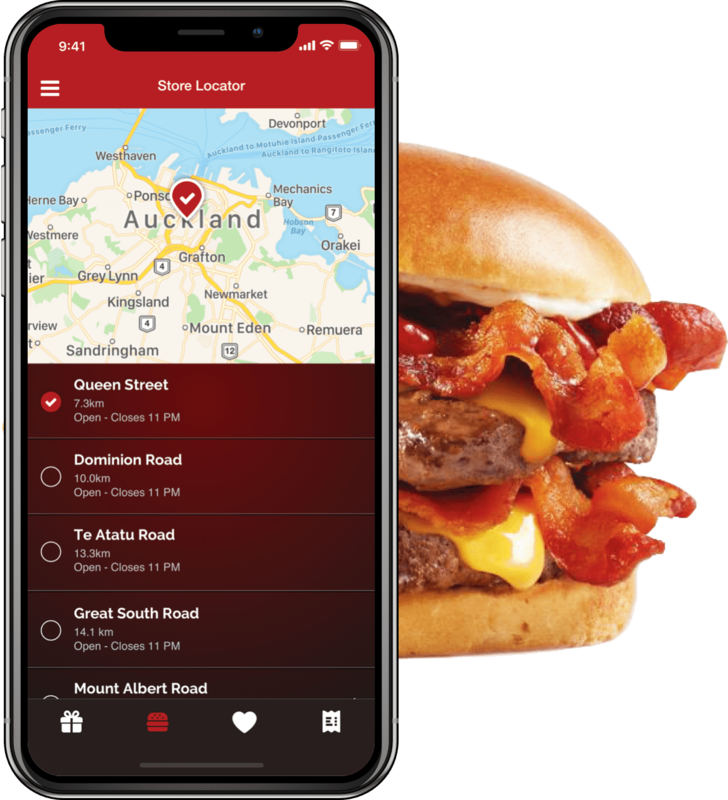 We needed a journey that helped users onboard into the app as efficiently as possible, while also gaining customer information that was of value to Wendy’s. The experience was designed to allow users to explore the menu without being forced to create an account immediately. Once they were ready to order, favourite items or use coupons, they are prompted and presented the benefits of creating a Wendy’s account. 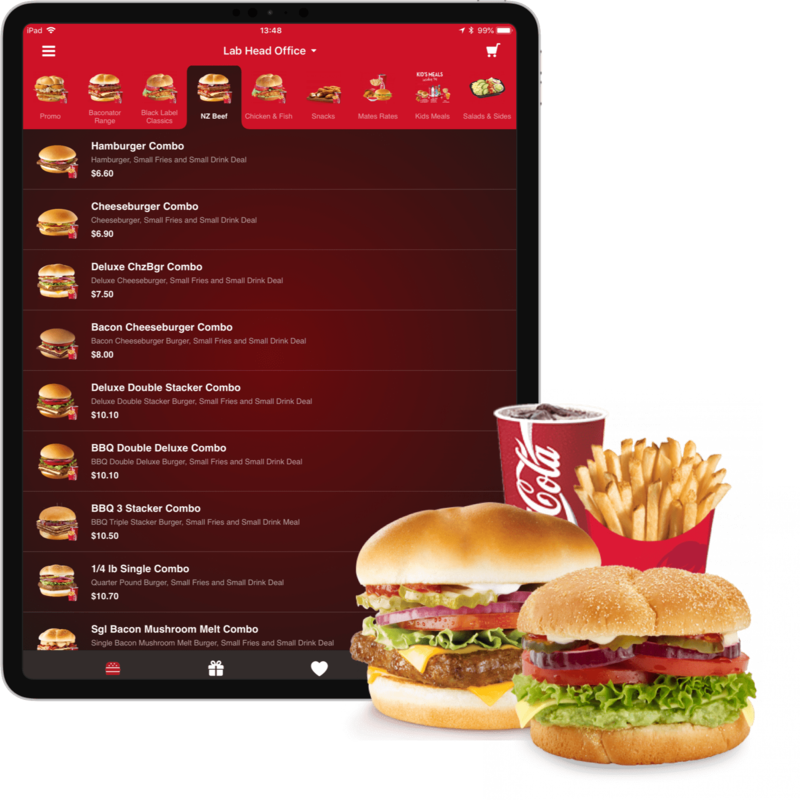 We introduced a tab navigation to help Wendy’s customers move freely to desired areas inside the application, such as placing an order, browsing the menu, managing coupons and viewing favourite items. 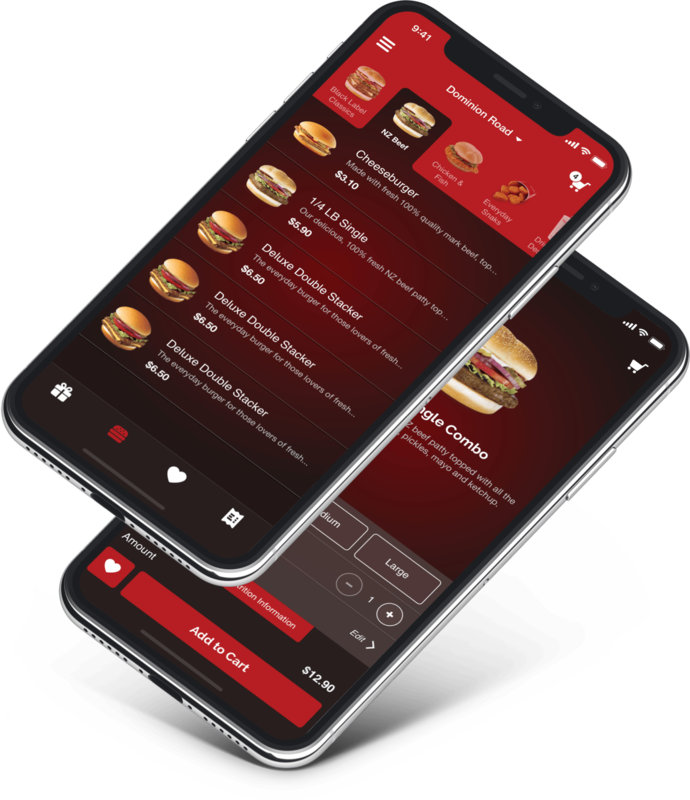 While users are able to make orders remotely from within the app, it was made clear early on that Wendy’s will only begin preparing the order once/if the customer is in the store for pick up, as this would guarantee the freshness of the meal that is served. It was therefore important to differentiate this process as a mobile kiosk, rather than a mobile checkout. Because of this, the user’s active geolocation was required before their payment could be processed and their order is sent to Wendy’s point of sales system. On the 25th March 2019, we pushed a soft release of the app, and we were able to gain valuable feedback from a controlled group of users and make further improvements before the wide release at the end of April 2019! We were very happy to see the app finally go live, but we know the work has only just begun. We believe the best products aren’t made at launch. The hardest work starts after the fact and the challenge now is to find what will help Wendy’s provide the best value for customers. Find your favourite Wendy’s location. Wendy’s are like the apps we make. All are pretty amazing, but each one has features that make them unique. With the Wendy’s app you can find your favourite Wendy’s location anywhere, anytime. Hate waiting in lines? Having one of those days where you’d rather not talk to people? The Wendy’s app has you sorted. Pick the Wendy’s you want, and order straight from the app. When you arrive they’ll get started, and you’ll have hot food in no time (unless it’s a salad or a Frosty®. Those are cold on purpose).